Not Another Architecture Student: MORE OF THIS! There are lots of building in Bergen with little sculptures like this one. 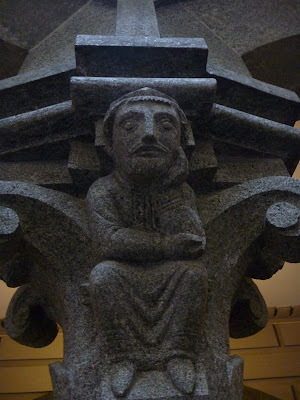 He's sitting and thinking on the capital of a column in the atrium of Bergen courthouse, and will probably remain there for most of eternity. More of this, please!